Situated along Florida’s east coast and just south of Cape Canaveral Air Force Station, Cocoa Beach is often considered one of the most beautiful beaches in the state. Sparkling white sand beaches and exciting surf breaks draw visitors to Cocoa Beach throughout the entire year. Enjoy these Cocoa Beach activities, and experience the best of Florida’s beautiful east coast. Celebrate the incredible beauty of the beaches, and spend a few days soaking in the sunshine. 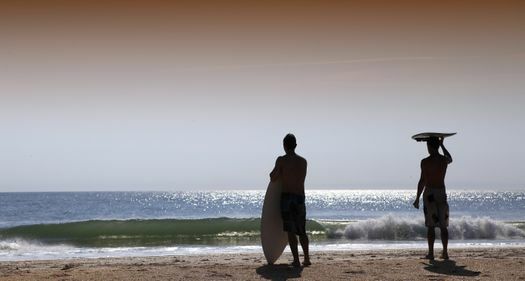 Cocoa Beach is known for its perfect surf conditions, lovely swimming areas and clean white sand beaches, so you’ll need to set aside some time to just enjoy the beach itself. Pick up a paddleboard and spend some time on the water, or grab your swimsuit for sunbathing and relaxing in the surf. Visit Lori Wilson Park to wander the nature trails and explore Florida’s untouched coastline with spectacular ocean views. 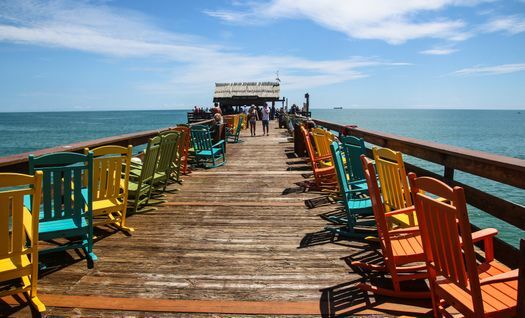 Jutting 800 feet out over the Atlantic Ocean, the Cocoa Pier is designed to make it easy for you to enjoy the colorful sunsets over the water, fishing in the surf and exploring the beauty of the town. Shops and restaurants are open almost the entire year with fresh seafood, ice cream and unforgettable views of the Cape Canaveral rocket launches. 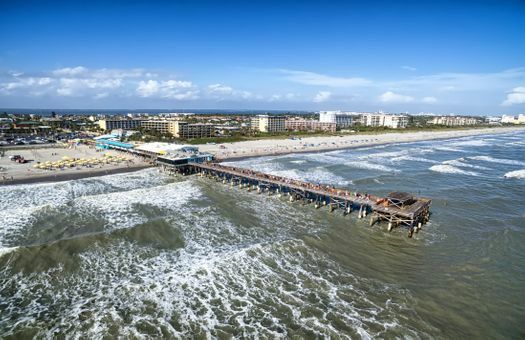 Choose a Cocoa Beach vacation rental near the pier to put yourself in the perfect position to enjoy all of Cocoa Beach. Encompassing over 52,000 square feet of shopping space, Ron Jon Surf Shop is a Cocoa Beach icon. Browse the store and select a new bathing suit, board shorts or a surf board, and grab a colorful beach towel for a day on the water. Ron Jon Surf Shop is the largest surf shop in the world, and it’s home to waterfalls, fish tanks and a glass elevator to view the whole store from above. With so many mellow activities in Cocoa Beach, spend a day enjoying a big adventure. Step out of your Cocoa Beach rental, and head to Cocoa Beach Aerial Adventures for a zip line, obstacle courses and 48 unique challenges that defy gravity. Choose to go solo, or work with a group to get through the obstacles. 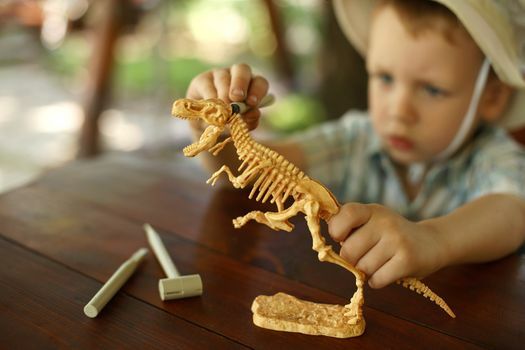 Become an amateur archaeologist or spend time checking out a Tyrannosaurus at the Dinosaur Store. Fun for the whole family, the store offers dinosaur fossils, minerals and cute dinosaur toys for anyone who loves these extinct creatures. 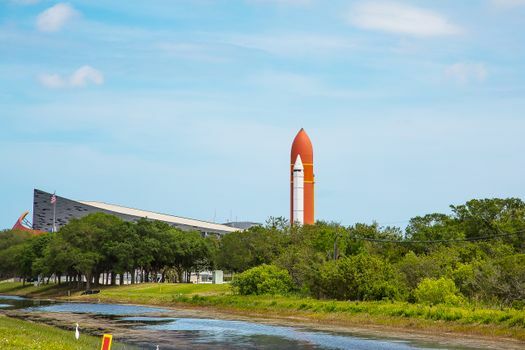 Just 25 minutes outside of Cocoa Beach, the Kennedy Space Center is a truly unforgettable experience for the entire family. Wander the Rocket Garden to check out the real rockets that launched America into space adventure. From the Apollo Missions to the Shuttle Atlantis, explore the world of space through hands-on displays and lectures, museums and rides that simulate space travel. Have lunch with an astronaut, or spend the day exploring Mission Control. Quiet and shaded, Sidney Fischer Park is a perfect place to seek a little peace along the waterfront. Tall oaks covered with Spanish moss and pretty palms dot the shoreline, and pavilions are covered for a picnic lunch.